Steve Bullock ‘88 dreamed of becoming the governor of Montana, so he did. What's next for Governor Bullock? In the fall semester of 1984, a young Steve Bullock was a freshman at Claremont McKenna College. Like all first-years at CMC, Bullock was required to enroll in a freshman writing seminar, and he found himself in Professor of Literature Nicholas Warner’s classroom. But unlike most first-years, Bullock had already decided on his future career goals. "As I often do with students," recalls Warner, "I asked him whether he had any professional plans yet, and was struck by the specificity of his answer: 'I hope someday to become the Governor of my home state of Montana.’" Warner says he always remembered that comment, and every once in a while would wonder, "What ever happened to Steve Bullock?" 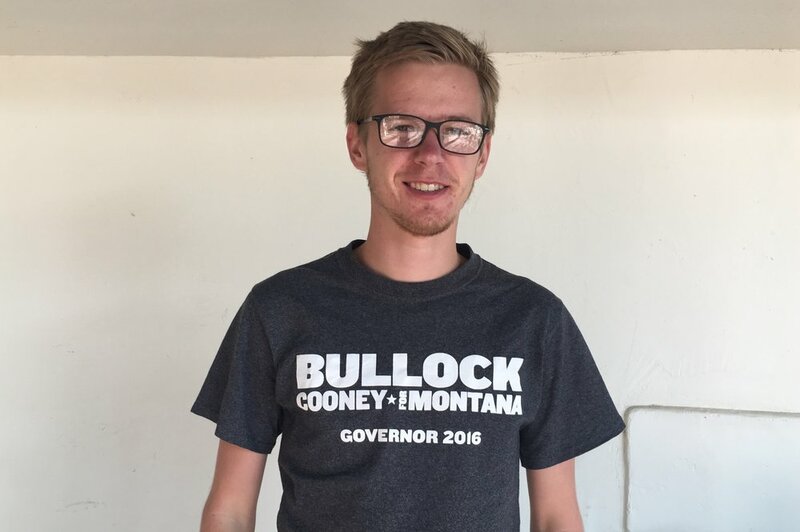 Bullock went on to graduate from CMC, studied law at Columbia University, served as Attorney General of Montana and — last but not least — won the race for Montana State Governor in 2012. “It’s a great story to have and a great story to tell,” Warner remarked with a smile. After learning about Bullock’s unique story, Harris decided to pursue an internship for the governor’s office for the summer of 2018. By the time he was a senior at Claremont McKenna, Bullock, a Philosophy, Politics and Economics major, asked professor John J. Pitney to be his senior thesis reader. Pitney shared a hard copy of Bullock’s graded thesis with The Forum. Unsurprisingly, Bullock’s thesis focused on Montana, analyzing the state’s welfare reform. Pitney remembered Bullock’s senior thesis as “thorough, balanced, and thoughtful” in an interview with the Claremont McKenna College Magazine in 2014. “If we went back in a time machine and told the class of 1988 that Steve would someday be governor of Montana, nobody would be shocked,” Pitney told CMC Magazine. It appears, though, that Bullock may have even larger aspirations looking toward the future. After Bullock visited Iowa and New Hampshire — two swing states — in August, some speculation arose in the media regarding Bullock’s potential run for the 2020 Democratic nomination and presidential race. Others wonder if a bipartisan-appealing candidate would be perceived as too moderate by the Democratic base. In a “Socialism versus Capitalism” debate held at Pomona College in October, Nathan J. Robinson, a Social Policy PhD student at Harvard University and editor of Current Affairs publication, recalled back to the 2016 election while looking forward to 2020. “I wrote a piece in February of 2016 titled ‘Unless the Democrats Run Sanders, a Trump nomination means a Trump presidency,’” Robinson said to the audience of students. “I very strongly thought that the Democratic Party, if it didn’t speak to the concern of people in my generation about their economic futures, (Democrats) wouldn’t turn out to vote.” Robinson concluded his point by stating that if the Democrats fail to “recapture the enthusiasm of the party base,” he believes Trump will be re-elected.